co-creators Max Mutchnick and David Kohan. As of tonight, it's official: Will & Grace is back for the long haul. 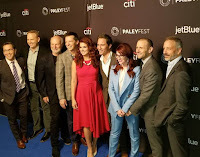 As the cast of the popular rebooted sitcom took the stage at Hollywood's Dolby Theater for a panel on night two of the annual PaleyFest, it was Megan Mullally who urged co-creator Max Mutchnick to announce the official news: not only will W&G's rebooted season 2/overall season 10 be increased from a planned 13 to now 18 episodes, but NBC has already renewed the show for a third (or eleventh) season. After a day on a photo shoot at the W Hotel in Hollywood, the cast assembled -- along with Eric McCormack, Debra Messing, Sean Hayes, plus Mutchnick, co-creator David Kohan and director/executive producer Jimmy Burrows -- at the Dolby for an interview conducted by Scandal actor, writer/producer and W&G super-fan Dan Bucatinsky, who recently reprised his character Neil, from the original series. UNIVERSAL CITY, Calif. – March 17, 2018 – “Will & Grace” is giving you more, honey! 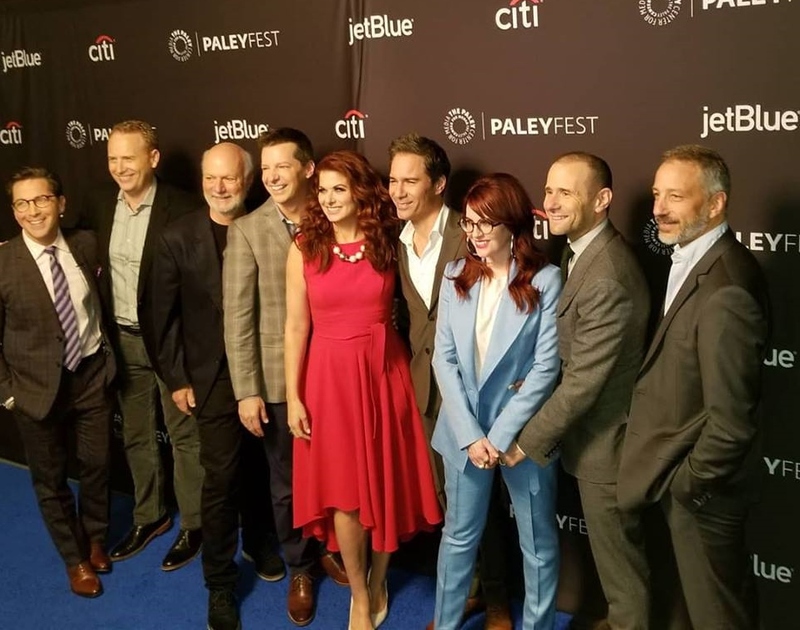 The return of “Will & Grace,” which began as an Internet reunion that turned into a one-season order and then a two-season order before it even went back on the air last fall, has just been ordered for a third season to premiere in fall 2019. With its razor-sharp wit intact and all four Emmy Award-winning actors back at the top of their game, one of the best NBC Must See comedies will return for an 18-episode third season. Season one has been highlighted by an array of top guest stars, including Jennifer Lopez, Alec Baldwin, Minnie Driver, Ben Platt, Molly Shannon, Jane Lynch, Andrew Rannells and more. 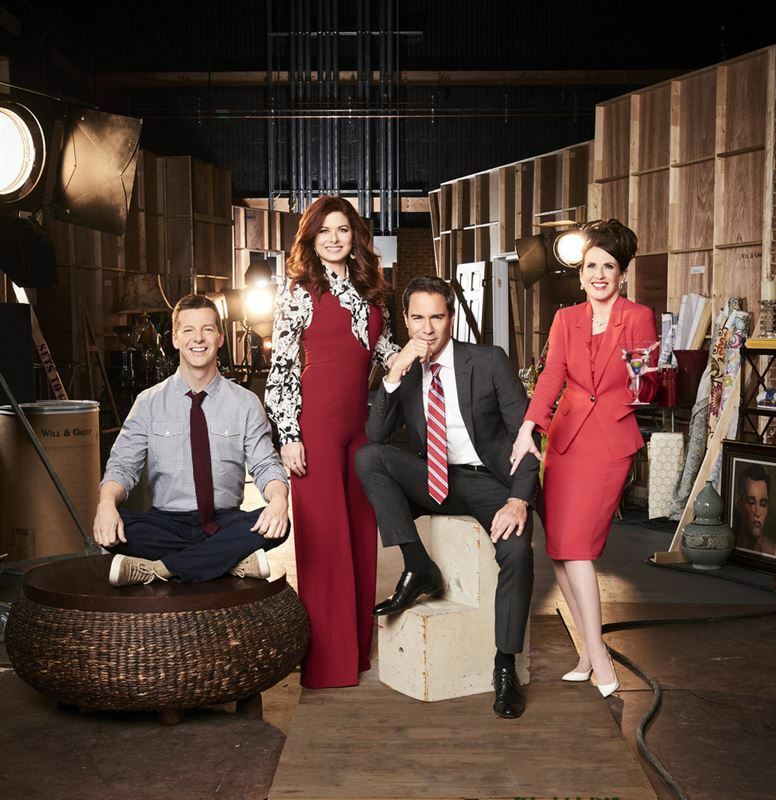 “Will & Grace” stars Eric McCormack, Debra Messing, Sean Hayes and Megan Mullally. Max Mutchnick and David Kohan, who co-created the series, write and executive produce. James Burrows directs and executive produces. “Will & Grace” is produced by Universal Television.